I was threatened with a defamation lawsuit after calling out the behavior of a shaykh. I uncovered a series of aggressive proposals with female students of his, trying to coerce them into secret marriages. He would urge them not to tell their parents, and not inform his wife, or anyone else in the community or her family. I reviewed text messages, voicemails and spoke to a number of the students he tried to coerce. He used a whole host of spiritual abuse manipulation tactics including telling them that he is their “spiritual father,” that he could be both the wali (guardian) and the groom, and other abusive tactics. I began trying to figure out the nuts and bolts of what a defamation lawsuit might look like and how that would impact me and my family. I reached out to Danya Shakfeh, the author of the article below and an attorney, and asked her advice and what she said did two things; it eased my concerns and it empowered me to keep speaking. I was not planning to stop telling people the truth, but it was either continue under the stress of an impending lawsuit or continue without worry. Danya’s advice allowed me to continue without worry. She told me that there were a number of problems with their threat. The first was that the supporter could not bring the lawsuit himself as a defamation case can only be brought by the person who was being spoken about. Second, defamation is only about things that were false; what I was saying was true. Thirdly, if they brought a case to court, the best case scenario for them would be that it would be dismissed and thrown out of court as the fact that they would have to bring up the issue of bigamy (which the teacher and the supporters did not deny) would put him under the scrutiny of whether any bigamy laws were broken. With these points in mind, my stress was over. I was ready for whatever lawsuit they would like to bring. And I am still waiting. Here are a few thoughts I had about the whole ordeal. This teacher and his supporters were essentially trying to threaten me into silence. They did not place the needed focus on the issue of the prohibited (haram), unethical and illegal behavior of the teacher, but rather focused on my problems with how I chose to handle things and what effect my speaking out had on monetary donations to the work of the teacher. The issue became how I handled the matter, and not the matter itself. I also learned that attempting to communicate my concerns to community leaders and his supporters would not guarantee a remedy and can actually backfire against me. It also showed me the true colors of the teacher and his supporters. They were more concerned with the “honor of the shaykh” and donations than anything else. I asked them, “Why are you not speaking up for the honor of the sisters he hurt?” I thought about all the sisters in similar situations who may be bullied into silence through the threat of defamation and the misuse and manipulation of religious texts to prevent them from speaking the truth and addressing spiritual abuse. Teaching our community how to recognize abuse (in all its forms), how to speak up and reach out to people who will help, helping those who reach out and protecting those who speak out from defamation bullying tactics should be a staple part of our discourse. These messages should ring loud from the minbars of our masajid, the classrooms of Sunday schools, the assembly halls of Islamic schools and the youth halaqas wherever they may be held. Several weeks ago, Shaykh Rami Nsour came to me with the concerns he had described above. His account made me realize that as an attorney in the United States, people generally have a lot of misconceptions about the legal claim of defamation. In the context of spiritual abuse, knowing what constitutes defamation is important. All too often, a religious figure being accused of inappropriate or illegal behavior will respond with threats of suing for defamation. I will explain exactly what this claim is, its defenses, and break down why such a threat is often nothing but an empty and meaningless threat. The legal claim of defamation is defined as a defamatory statement that is a “false statement of fact that is negligently or intentionally communicated or published to a third party.” More simply, defamation is a defamatory statement communicated by one party to another, whether intentionally or due to carelessness in communication. There are also two types of defamation: 1) defamation per se and 2) defamation per quod. The difference between these types of defamation is the defamatory content that is being communicated. Defamation per se are categories of defamation that are actionable regardless of damages resulting from the statements. 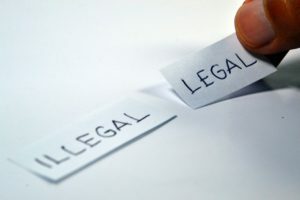 More simply, even if the one claiming defamation does not lose money or suffer another loss, he or she can still succeed on a legal claim of defamation. These categories are: 1) words that accuse someone of a crime, 2) words that accuse someone of having a loathsome contagious disease, 3) words that accuse someone of being dishonest in the context of his office or employment, or 4) words that state that someone is incompetent in their job or profession. Many jurisdictions have expanded the categories of defamation per se and some, if not all most jurisdictions also include a woman’s chastity. An example of defamation per se is a surgeon being accused of consistently having poor outcomes in her surgeries when in reality the physician has a record of excellent outcomes. The physician does not have to demonstrate she is losing business as a result of these defamatory statements to succeed in her case. Defamation per quod, on the other hand, is a defamatory statement by which a plaintiff (the one suing for defamation) must prove damages that resulted from the statements. An example of defamation per quod is if a person is accused of believing she is a unicorn and people refuse to be her friend or hire her for a job, but the person does not, in fact, believe she is a unicorn. She is damaged from these accusations and she would have to demonstrate damages. The person’s belief that she is a unicorn is not (legally) inherently defamatory and thus, she must demonstrate damages to succeed on a claim for defamation. Lastly, there is also a lot of confusion regarding slander versus libel. The only difference between these two is the method of communication of defamatory statements. Slander is conveyed orally whereas libel is written defamation. The main substantive defense for defamation is the truth of the statements. Note that the definition of defamation involves false statements. If a statement is true, it is not defamation, no matter how injurious the statements are to the plaintiff. I cannot stress this enough. With respect to our context of allegations of some form of spiritual abuse, if an accused, for example, in fact, engages in “secret marriages” and a victim wants or needs to communicate this to third parties, the accused will not have a claim of defamation against the victim. Note that the plaintiff (the one suing for defamation) must prove all of the elements of defamation. This includes proving that the statements conveyed by the defendant (the one accused of defamation) are false. 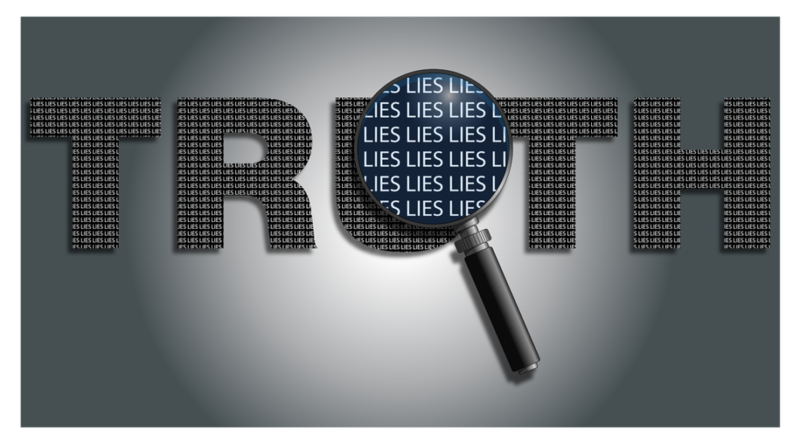 As a practical matter, depending on the nature of the statements, that particular burden may shift between the parties, but the bottom line is that whether the statements are true are false will be up to the court to decide and may be public record. This is bad news for a plaintiff (the one suing for defamation) if he does not want a court to investigate and make public whether he engages in inappropriate or illegal behavior. To make defamation claims more complicated, public figures, as defined by the courts in the United States, have an additional element to prove when making a claim for defamation. A public figure must prove that the defamatory statements were made with “actual malice.” Despite the verbiage, “actual malice” is not about ill-will or intent, but rather not caring whether the information is true or false and spreading unchecked information. This standard exists to protect First Amendment rights and journalists (in the United States). Many of our scholars and community leaders may fall into the “public figure” category. Another point regarding defamation lawsuits (and lawsuits in general) is that not anyone can sue on a claim. For defamation, for example, generally speaking only a party who is directly a subject of the statements may sue. This concept is known as “standing.” In our context, if a student of a shaykh, for example, is offended by a victim’s allegation against a shaykh, the student cannot sue on the shaykh’s behalf, because the student has no standing. If you are a victim, there are two takeaways from this. If you have evidence of your allegations, keep them. It is common and understandable for victims to want to erase this part of their lives by deleting emails, texts, and letters as a way of coping, but please find a way to hold on to that evidence so you can use it to the protect yourself if the allegations become public (whether through a lawsuit or not). The second point is that it is not as easy for a perpetrator to sue for defamation as he may think. A perpetrator may be shooting himself in the foot by dragging certain aspects of his life to the public so take such threats for what they are. The bottom line is that threats of lawsuits by a perpetrator of abuse for defamation may ultimately prove more harmful to the perpetrator. A victim of abuse should try her best to not be swayed by such callous threats. However, in the event that a situation does take this unfortunate turn, a victim should hold on to as much evidence as possible to protect her or himself from such allegations. Danya Shakfeh is an attorney who practices litigation, contracts, and business law. She can be reached out at danya@inshaykhsclothing.com. (The above post should not substitute for legal advice. If you are ever in such a situation, please seek the advice of local counsel).